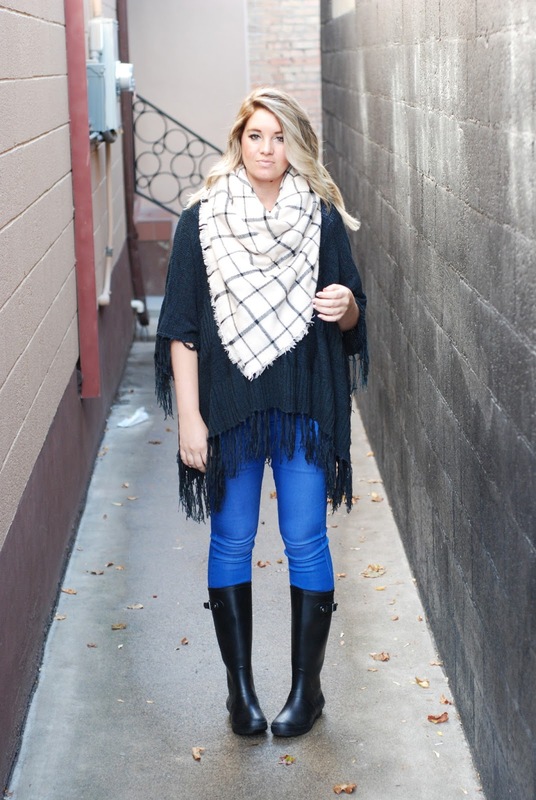 RAINY DAY OUTFIT FEATURING BB STYLED! I'm bombarding you this week with posts! Too many good fall things to share! :) If you haven't heard of BB Styled, well, now you have!! 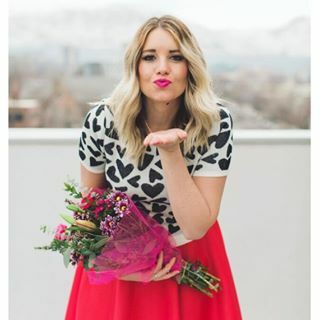 Not only do they have some of the cutest boutique clothing out there, but they are all amazing ladies over there!! If you are sick of seeing ponchos yet, don't be. 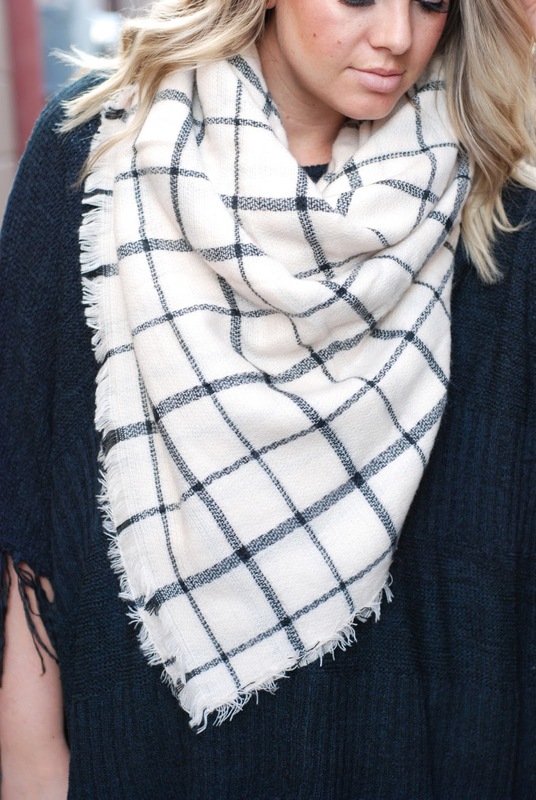 They are my favorite fall piece hands down and if you don't own one, or about six like me, we need to change that! This one is long, more than covers the bump, and has sleeves which is a huge bonus! 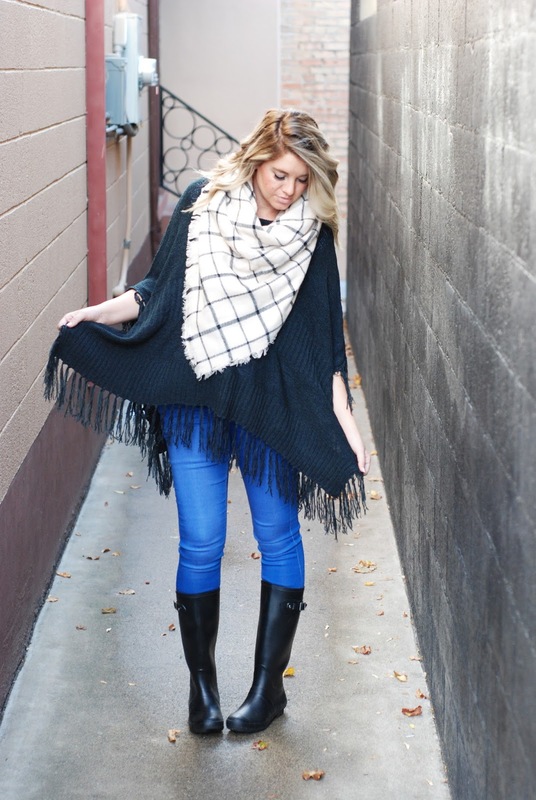 I styled this look for a rainy day this week and it was perfect! The scarf kept me toasty and the boots kept my feet nice and dry! This fall weather (FINALLY) has me all giddy!! Happy hump day! Me and hubs are off to Park City today for a quick mini babymoon and then I'm off to Vegas (which I might regret hehe). Follow me on Instagram for fun photos (@jalynnschroeder).